What is the Choice Neighborhoods Initiative? Where is the Planning Area? Who is on the Planning Team? Who is a Partner in the Plan? 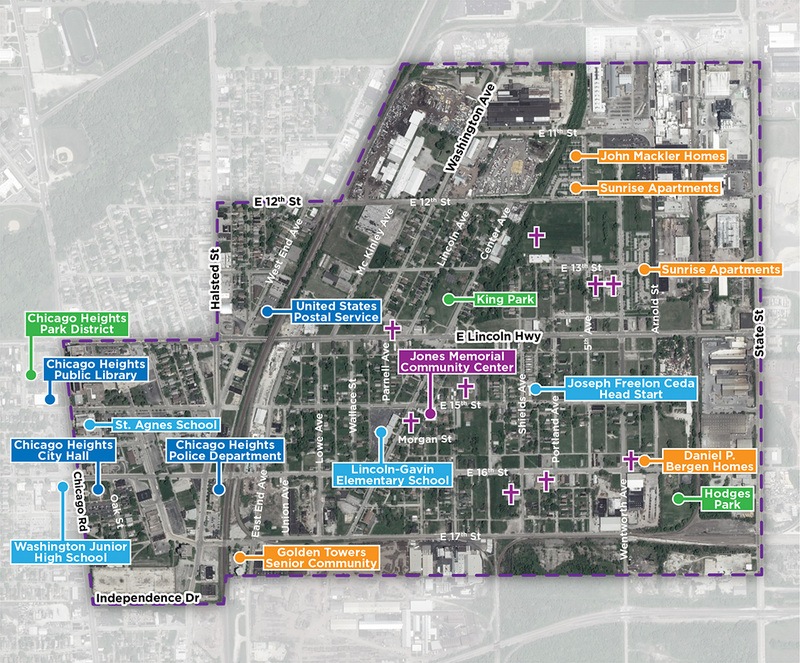 The Downtown/East Side Choice Neighborhoods Plan will be community-driven and result in detailed Housing, Neighborhood, and People strategies, including a focus on improving safety and increasing educational opportunities for the local community. Shown below is the project area and its geographic extent, defined heavily by rails lines along each of its sides. The eastern boundary extends to State Street and the west is sawtoothed with its portions extending to Chicago Road, Halsted Street, and a rail line. The northern boundary sits at the end of Washington Avenue, and the south runs partly along Independence Drive and approximately 350 feet south of East 17th Street.